As we head into summer we’ve got a packed diary of events here at the GWCT. We begin on Friday 5th June with a charity clay pigeon shoot hosted jointly with ABF Soldiers’ Charity at Warter Estate in East Yorkshire. Up to 30 teams of guns will compete for a range of valuable prizes during this two-day event and all proceeds will be shared jointly by the two charities. 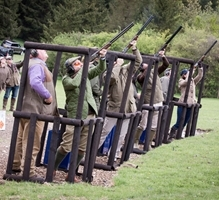 Also taking place on the 5th is our annual Essex clay pigeon shoot, held by kind permission of Andrew Tetlow at Debden's Hidden Valley at Blue Fields, Debden. Meanwhile in Warwickshire, and also on 5th June we will be organising a simulated game day at the Foxcote Estate, Ilmington. The day will consist of 5 x 80 bird flushes with 400 clays per team of four. Now in its tenth year, Open Farm Sunday takes place across Britain on 7th June. We'll be opening our doors to the public at our Allerton Project farm in Loddington, Leicester for what promises to be a wonderful day out for all the family. Up in Scotland on Thursday 11th June we’ve arranged a very special evening walk at Kinnordy Estate, Angus. An informative guided tour around the grounds will be concluded with a fantastic barbecue back at the estate. By way of contrast our Somerset committee have organised a river walk along a beautiful stretch of the River Barle on Tuesday 23rd June. 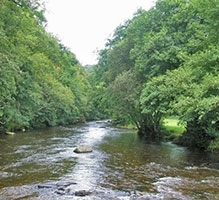 Running through Exmoor, the guided walk is just upstream from the world famous Tarr Steps and the evening will finish with dinner at the Tarr Farm Restaurant. Over in the Cotswolds on the 23rd our Gloucestershire committee are inviting those interested in grey partridge recovery to a farm walk at Far Hill Farm, current holder of the Cotswold Grey Partridge Trophy. The evening will be rounded off with a barbecue and drinks.